The simple question, of what to feed your dog does not have a simple answer. Anyone who has ever ventured into a pet store can attest to the fact that there is more shelf room devoted to pet foods than all other products combined. In fact, according to the American Pet Products Association (APPA), U.S. citizens are estimated to spend over $60 billion on their pets in 2015. Of that, the organization determines that more than 20 billion dollars will be spent on food. Americans love their pets and will spend much money to assure their pets are healthy, happy and pampered. Since dog food expenses are such a large portion of the yearly budget, it makes sense to assure that you are getting your money’s worth. Whether you are a new dog owner or experienced, providing the right diet for your dog should be a priority. There are so many stories about dog food circulating over the net, some are factual and some are not. It is not surprising that people are confused. There are so many dog food choices that food manufacturers must go to great lengths to encourage you to buy their brands. The advertising is seductive and often misleading. They use words we want to hear such as “natural” or “holistic” but in reality, do not have much meaning. Dog food companies have great internet sites. Their websites are filled with videos of people talking about how much they love their pets. You see happy people playing with puppies and dogs happily running through . What you don’t see is what you need to know about the food you are considering. But they are not completely to blame. The agencies that regulate the dog food industry have very minimum standards and often vague guidelines making it easy to produce foods that sound better than they are. In this series of articles, we will look at the many factors that go into deciding on a healthy diet for your small dog and at the same time, try to debunk some of the myths. Cook it yourself or Buy it already prepared. Or, combine the two. Home-made food for a dog is not a new trend, rather it was the standard way to feed dogs prior to the dawn of the commercial dog food industry. Years ago, we would have called it table scraps. Today a home-cooked dog food diet is anything but table scraps. The trend towards both the raw diet and the home-made diet increased after the dog food recalls that occurred a few years back. People wanted to know and control what their dog was eating. The major advantage of cooked foods over raw is the elimination of any possible risks of bacterial infections stemming from raw meat. The advantage with a homemade diet is that you can control everything your dog eats. You can provide top quality ingredients and prepare it safely. No need to worry about contamination. The downside is that it is not as easy as it sounds. Commercial dog food companies spend countless sums of money to research dog nutrition so that their product will contain the right ingredients in the right quantities. You might also be surprised that to learn that it is not as cheap as it might first sound. If you purchase all of your vegetables from locally grown farmers’ markets, visit the farm to get farm-fresh eggs, buy all your meat from the local butcher or grow your vegetables, then you are off to a good start to providing a high quality homemade diet. So the price of the food depends on where you shop and the quality of the ingredients to use. It is more time-consuming and may not be practical if you travel and must board your dog periodically. The nutrients that you add to your dog’s evening stew might be top notch, but unless you are well versed in canine nutrition, you may not be providing a well-balanced, complete diet unless you supplement. If cooking for your dog sounds like something you might want to do, yet aren't sure how to begin, I would recommend you visit Easy-Food-Dehydrating to get some pointers, a free recipe, and even a helpful video tutorial. There is also some very helpful advice about what supplements you can add to assure your dog is getting all the correct vitamins and minerals he needs. If you choose not to cook for your small dog, you still have to decide what type of diet to provide. Most people choose food based on the cost, the ease of feeding and whether the dog likes it or not. Others want to know they are giving their dog the best possible diet. This group of people will dig deeper and learn more about the pet food industry before making any decisions. Many dog foods are now being packaged for the specific life stage--puppy, adult, and senior or sold as a food specific for a particular lifestyle (active or sedentary). Some are geared to correct a particular problem such as dogs with allergies, sensitive digestive tracts, obesity or sensitive skin. Companies that produce the dry or kibble further provide different sized kibble bits depending on the size of the dog. Some are breed specific, formulated to address one or more specific health concerns of that breed. There are also premium brands that offer different recipes—all meat, vegetarian, grain free that makes it even harder to decide on food. Add into the mix, organic, natural and holistic blends. There are pros and cons of each type of diet, but don’t worry, you can choose to serve more than one type of food if you cannot decide. For example, you can mixed dry and canned together or add water to make thick gravy; however, this will negate the benefit of exercising the jaw muscles and cleaning the teeth. The chief difference between dry, canned, dehydrated and semi-moist foods is, as the names suggest the amount of water contained in the product. Canned foods can be up to 85% water whereas the moisture content of dry food is usually only about 10%. Semi-moist food falls in the middle, with about 25 to 40 percent water content. Dehydrated foods have had most of the water removed. The difference between dry and dehydrated is that dry foods are cooked at high temperatures which remove some of the nutrients. Those vitamins and minerals lost are often replaced. Dehydrated foods are processed for shorter periods of time so they retain more nutrients. Dry food or kibble is the most economical food and has a shelf life from 6 months to 1 year. There is no need to refrigerate it and it is very easy to serve. For these reasons, most dog owners prefer dry food over other types. There are a plethora of brands to choose from and the nutritional value can range from excellent to extremely poor. 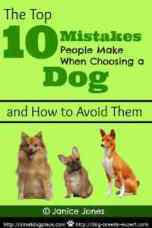 It is readily available at supermarkets, pet stores and online. 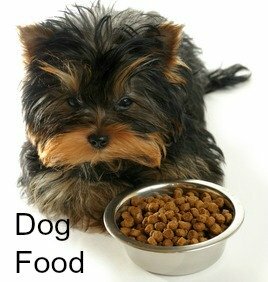 Reading the dog food label will give you some idea what you are serving to your dog. Canned dog foods are the next most common food served to dogs. Although more expensive, the shelf life is long and most cans come with pop off lids eliminating the need for a can opener. Since canned foods have high water content, you will need to serve more to get the same nutritional value as a lesser amount of dry food. The main advantage and the reason so many small dog owners serve canned is the taste—their dogs gobble it up. As with dry foods, can food can be very low in quantity to very high and range in price from $ .50 a can to upwards of $4.00 per can with the premium brands being the most expensive. These prices are based on a survey done at the writing of this article. May be more suitable for some medical conditions that require higher water intake. If you are considering canned food as your dog's primary diet, I would suggest you stop by Zoobio to check out their guidelines on proper rationing of the diet. Semi-moist dog foods have a moisture content of 25-40%, which falls between canned and dry food. Semi-moist foods were once very popular as an alternative to canned foods; now they have fallen out of favor due to the high quantity of artificial colors and flavorings and high quantity of preservatives used in processing. Many of the semi-moist foods today are sold as treats and you will find them shaped like little pork chops, bones, or hamburgers. Semi moist is the least nutritious of the commercially prepared dog foods. BUT, if you are in the process of training your dog and need tiny tidbits to entice him to obey your commands, then be aware that this form of food adds calories, so my advice? Break them into tiny pieces. Dehydrated foods are often confused with “freeze-dried because they often look alike. Dehydrate foods are cooked at lower temperatures for shorter periods of time. Some are not cooked at all (raw). This process allows the nutrients from the food to remain so that artificial supplements may not need to be added. Their moisture content is removed through drying so you may need to re-hydrate them before serving. Removing the moisture increases their shelf life. They require less preservatives due to the way they are prepared. They are more expensive than the dry kibble that we discussed above. Freeze-dried foods are created by a process that involves quick freezing and then cooking to remove the moisture. Both foods end up the same. These are costly foods ranging in price from $7.00 to $15.00 per pound. Dogs normally won’t eat as much of this product as regular kibble. The newest trend that has emerged in recent years is the raw diet. While not without controversy, it is gaining in popularity due to the belief that raw represents a natural alternative to processed food, originating in our small dog’s ancestral past. A raw diet consists of raw muscle meat, meaty bones, organs mixed in, fruits and vegetables, but usually no grains. Vitamins and minerals are often added into the mixture. Bones are a natural source of phosphorus and calcium. 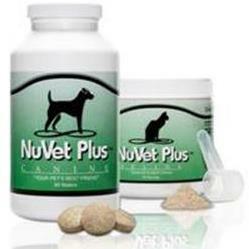 This type of diet works well for dogs because they have short intestinal tracts and strong stomach acids. A dog's anatomy allows them to consume and digest raw food quickly before any harmful bacteria can multiply and take over. Raw foods can be fresh, frozen, or dehydrated/freeze-dried. Some foods are sold as partial diets that can be included in homemade meals. This trend towards raw is fueled by devoted owners and enthusiastic who claim that dogs live longer healthier lives on this type of diet. Before you decide on a raw diet, it is advisable to talk to your veterinarian about the benefits and risks. People who place their dogs on this type of diet rave about the many health benefits. Most of what is known about the benefits comes from people who use raw. There have not been many research studies confirming these claims. Costs can vary widely depending on your source of raw ingredients. The least expensive option would be a local source. The most expensive would be online purchases where you would need to add in the cost of shipping.